Reviewing Acqua di Selva the other day has inspired me to review Pino Silvestre, since the two fragrances are similar and equally great. Pino is in my Top 25 favorites list, and I wouldn't feel right having a blog without a proper review of it. 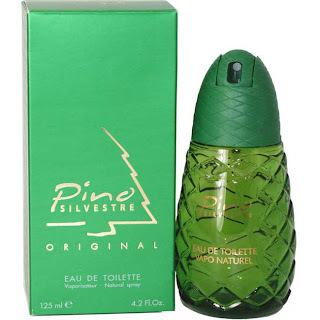 Often referred to as "old school", Pino Silvestre is, to me, more of a timeless classic than a throwback scent. I suppose the fact that it's an aromatic fougere and that its smell is light years away from what's popular these days makes it old school. But even then, it's a lot different than the aromatic fougeres from the 1970's. 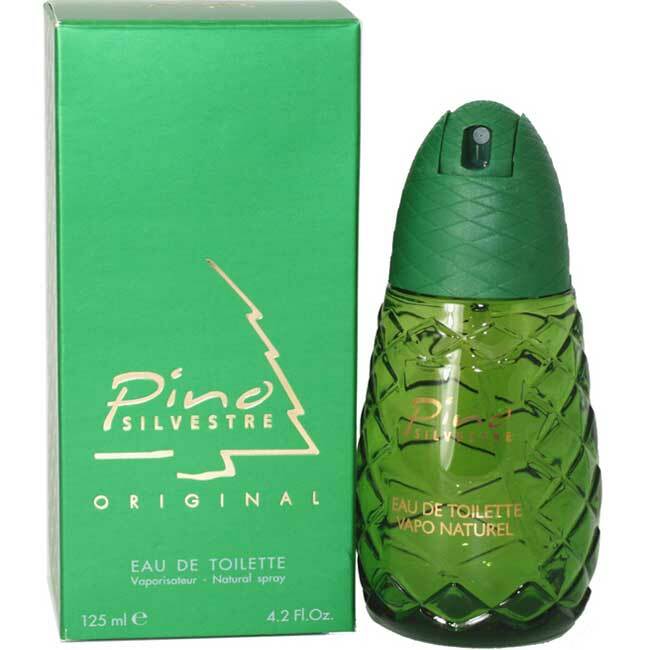 Pino Silvestre is distinctively Mediterranean, with its strong evergreen and herbal aroma. With a name like "Pino Silvestre", you'd expect this to smell like a pine forest, and you'd be right. Though pine isn't listed as an ingredient, the sharp green herbal and citrus opening has a deliberately pine-like scent. The fact that such a piney smell comes from a perfume containing no pine oil speaks volumes about the talent of its creator, Lino Vidal. Unfortunately I know very little about him, but the mere fact that he created Pino Silvestre makes him my perfume hero. The sharpness of the opening dissipates after a few minutes, changing the smell of the fragrance from that of pine needles to more of an airy, outdoorsy smell, sort of like wind blowing through a pine forest. It's a thoroughly green, dry, herbal scent that is delightful in every way. A lot of people don't like fragrances with strong dry herbal facets, so Pino might not be to everyone's taste. I happen to love herbal and pine scents, and for me, this is the perfect fragrance. Pino's combination of good sillage, outstanding longevity (12+ hours on my skin), and very low price make it one of the best fragrance bargains ever. It also has the coolest (and most appropriate) packaging I've ever seen for a perfume - a green glass bottle shaped like a pine cone. Do you get a sweet, honey-like herbal vibe from the heart of Pino? I find the mid-stage becomes a bit warmer than I expected. But yeah PS is a solid 10/10, hands down, probably the greatest "pine-like" fragrance ever made. Yes, I definitely get a warm, smooth scent in the heart and drydown, almost like a semi-sweet leather smell. I usually don't like sweetness, but here it works because that warmth is what gives the whole scent balance and brings all the notes together. It's just an out and out excellent scent, price not withstanding. No it's not especially complex but it works, and that's what matters. The ingredient quality is just good enough not to be an issue in this composition. What I noticed when I sprayed it on cloth was that several hours later there was this wonderful green/powdery quality that I had not experienced in any other scent. I'm glad they haven't tried to "modernize" it ! Yeah, this sure ain't modern, and I love it for that! I think what you're describing as green and powdery is exactly what Bryan above described as honey, and I describe as leathery. It's a great smooth drydown that manages to keep the scent smelling herbal and nice and dry. How would you compare Pino to Agua Brava, another Italian classic that (to my uneducated nose) seems quite similar... maybe AB is a bit less sharp and more powdery? Would love to hear your take on it, to me another timeless green fragrance. Great question. I find both to be of the same style - herbal/evergreen - but they don't smell the same. I find Agua Brava to be a lot darker and earthier than PS, and it has a stronger pine needle note than PS. I think the darkness of AB comes from it having leather and patchouli, as well as a much stronger and earthier vetiver note. Agua Brava is also an incredible fragrance, an easy 10/10 rating in my book as well. Both fragrances are must-haves for any fan of green or pine scents. I find Agua Brava and Pino similar, but I prefer Pino. It lasts longer on me than Agua Brava does. Agreed. AB lasts about 6 hours on me, whereas PS I can smell 12 or 13 hours later.